Join us .... for the 24th Annual fantasy baseball getaway from BaseballHQ.com. It's three full days packed with seminars, scouting and socializing at the Arizona Fall League. 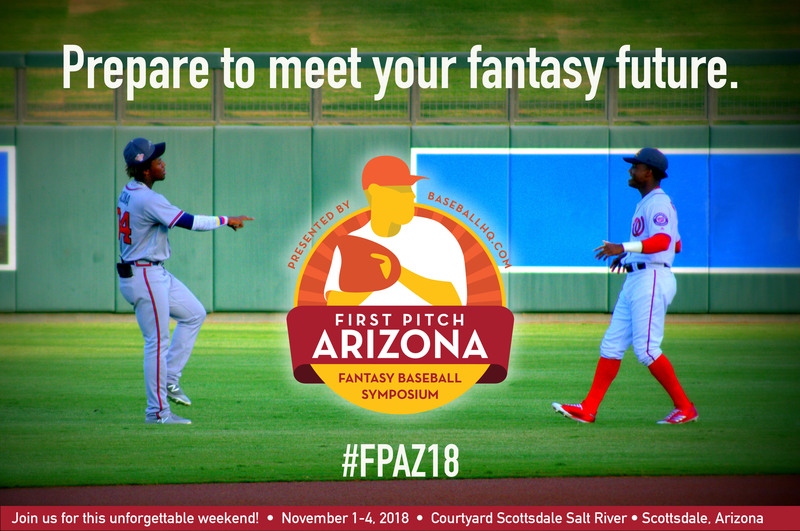 fantasy workshops, drafts and contests geared towards giving you an unbeatable edge for 2019.
sabermetrics, and strategy sessions, you'll experience your fantasy future from a front-row seat. Stay tuned for this year's crop of players and a full program; announcements will come later this summer. As always, First Pitch attendees will get a first-hand look BEFORE they became stars! Previous attendees call it "the best weekend of the year." We call it First Pitch Arizona. For samples of previous events, see our final programs from 2017 and 2016. THE CONFERENCE IS OFFICIALLY SOLD OUT FOR 2018!